adrift in soho: CAHIERS DU ADRIFT IN SOHO - The period reconstruction. CAHIERS DU ADRIFT IN SOHO - The period reconstruction. ADRIFT IN SOHO happens in the past so the most obvious expected resource for period re-creation in films are cars. They give instant recognition of time that makes the audience feel reassured. In ADRIFT IN SOHO we went for a completely different approach. 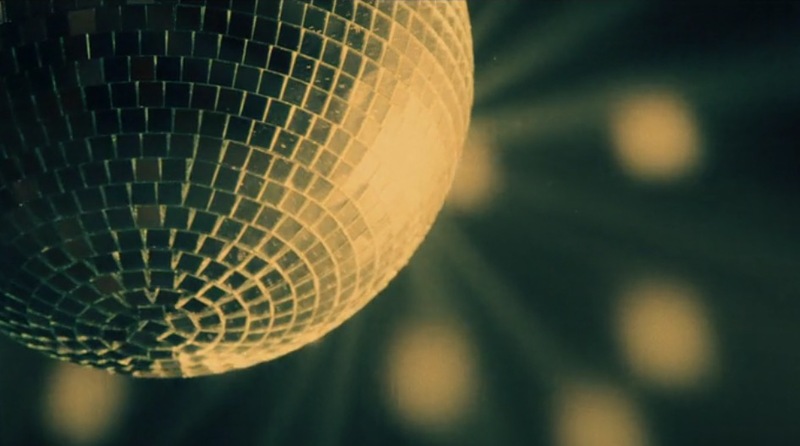 The period would be re-created in the the mind of the viewer only through the visual atmosphere and mood of the film. In ADRIFT IN SOHO we used no cars at all, nor any other of the standard props used in films. So how did we create period atmosphere? These days you can expect at least 20 cars in a street shot with vintage vehicles even crossing roads three blocks away from the main action. As a result period reconstruction has become stale and mechanical. A gimmick of props and pre-fabricated art direction. If the film is from a period where there were no cars then horses or horse-drawn carriages will be used in a similar fashion. In ADRIFT IN SOHO we tease the audience with one of the first shots being horses' hooves which instantly makes them think that it takes place in the 19th Century! So, when does the action in ADRIFT IN SOHO takes place? To answer this question you have to know a bit about what happened during the alleged 'period' of the film to see if there are any clues. the documentaries that the camera filmed. I was particularly impressed with the John Carpenter film 'The Fog' (1980). Every time the fog appears in the film, something nasty happens. But The Fog took place in the Californian coast and the bank of fog could be seen coming from the ocean. In ADRIFT IN SOHO the fog is part of the city. It is created by the city itself. So we took it one step further and made it into a protagonist of the film. 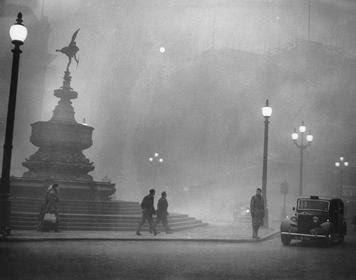 The worst case of smog-fog scenario that ever occurred in London was what became known as 'the pea soup' fog of 1952 which stayed in the capital for over a week and claimed the lives of thousands of people. In ADRIFT IN SOHO we used two of the biggest fog machines available in the film industry to recreate the effect. Instead of cars, we used fog. The machines were always in hand for indoor and outdoor use no matter the size of the location. We believe that this is a first in British films, that fog was used as a protagonist and not a special effect. The rest of the effects were created by Steven Blundell's production design, DOP Martin Kobylarz's fine photography and by Framestore's master colourist Steffan Perry. The nickname 'pea soup' is derived from the colour of the fog which was greenish, yellowish, blackish which you could even taste. The fog continued making sporadic appearances until 1968 when a clean air act was passed and the fog has disappeared ever since. Thus the fog was part of the period of the film, around early 1950s to 1961, when the original novel by Colin Wilson was published. The fog of ADRIFT IN SOHO is the fog of the past, the fog of memory. 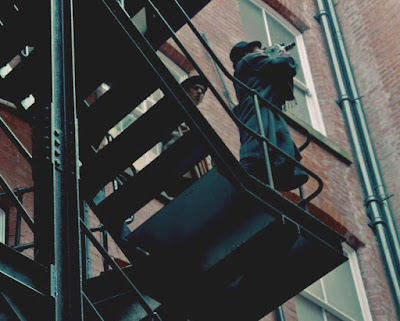 The streets in which it appears become a time-tunnel connected to the past where the local characters appear and disappear according to plot requirements. 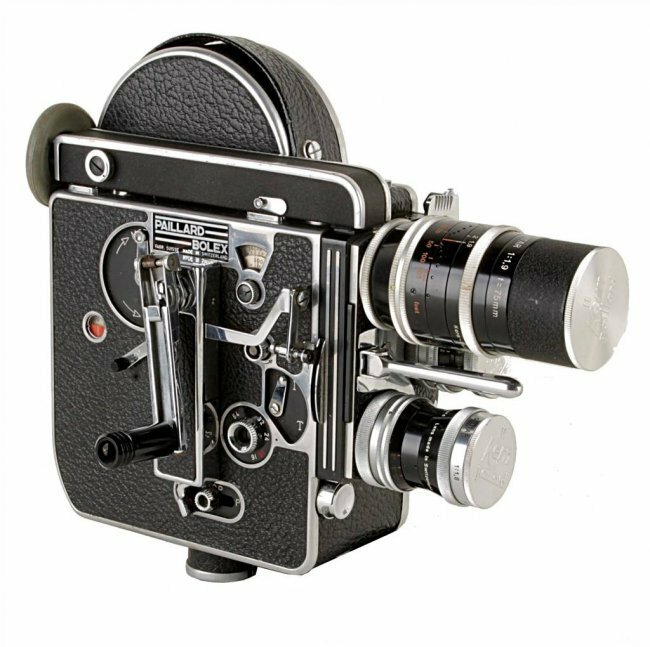 With this camera a new generation of film-makers in the 1950s began experimenting with new style documentaries and dramas. 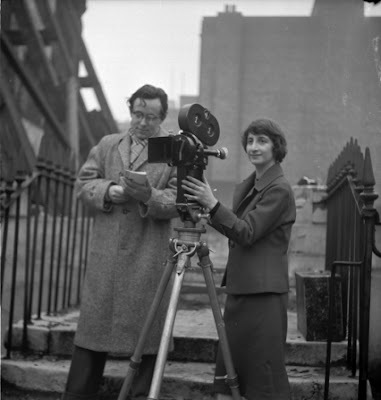 The most successful were the London filmmakers who pointed the relatively inexpensive camera towards ordinary people and not to celluloid celebrities. The Bolex camera was replaced in the mid 1960s by the slightly bigger and more accurate Arriflex 16. That's when independent filmmaking really took off as it also allowed filmmakers the use of a steady sync sound for location dialogue. But the Bolex filmmakers were the first to wrestle away the magic of cinema from the big Hollywood and British studios. 1950s filmmakers created the breakthrough that would later be exploited by Nouvelle Vague and Cinema Verite filmmakers. 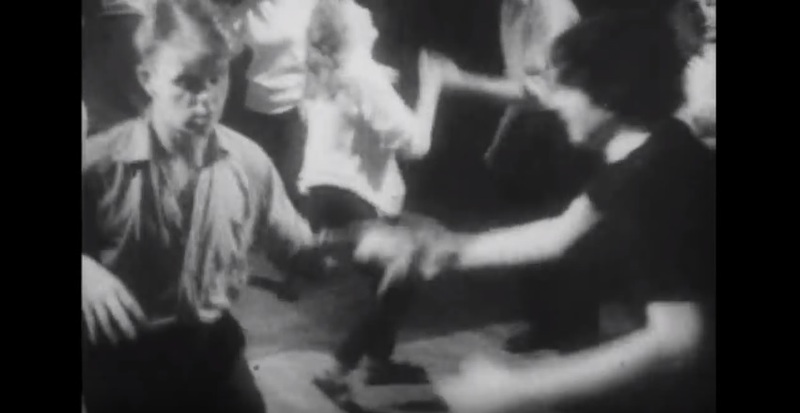 In ADRIFT IN SOHO we go beyond the Bolex as a prop and actually use it in two ways: to create the grainy texture of a 16mm B+W shot and to reproduce the documentaries that were filmed by the camera in the 1950s. Together with the fog, the Bolex is a protagonist of the movie. 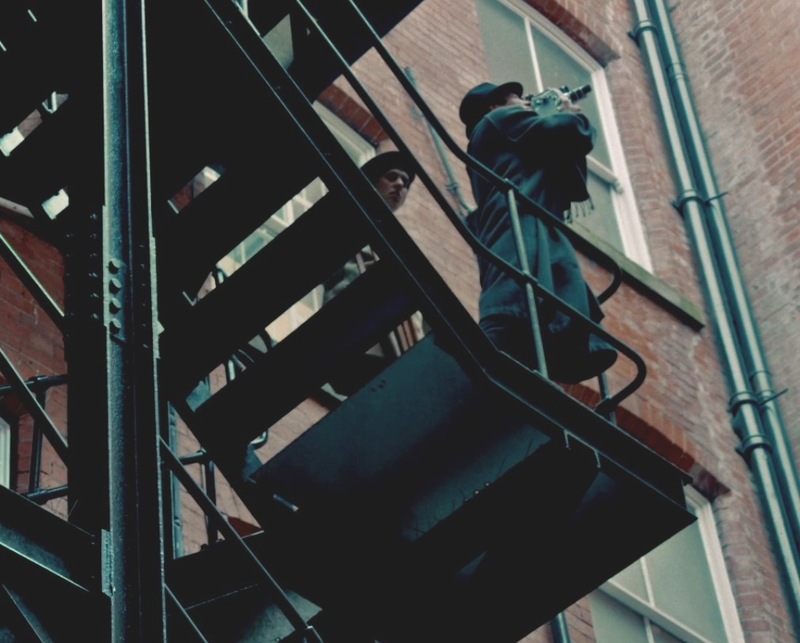 The ADRIFT IN SOHO project was limited by the camera technology that could be used in the film as the idea was to tribute the stylistic resources of 1950s documentaries that were produced under the name of 'Free Cinema' --free from studio interference as they put it-- as well as of incipient 'Nouvelle Vague' looks. 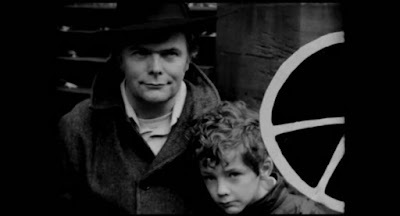 In ADRIFT IN SOHO we pay tribute to three forgotten documentaries shot by the Free Cinema filmmakers around Soho and London under extremely limited budgets. For this purpose we could've used stock footage from original documentaries but that would've be too easy. So we re-enacted the documentaries for the film at great extra expense of budget and time. 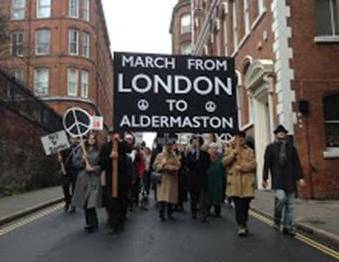 'Nice Time' about Piccadilly Circus on a successive Saturday nights, 'Momma Don't Allow' about jazz bands and mesmeric dancing, and 'March To Aldermaston' about the second huge anti-nuclear weapons march from Trafalgar Square to the Atomic Weapons Establishment at Aldermaston. The marchers, who walked all the way for over three days, were filmed by a group of committed film-makers. The three documentaries have their special 'chapter' in ADRIFT IN SOHO. Not very long each but significant - about two or three minutes. The original documentaries lasted around 30'. The rest of the action and plot in the film is more reminiscent of Nouvelle Vague and Cinema Verite. There are a few examples in YouTube about these three forgotten documentaries and it will be up to you to discover them in the film. Directed by Claude Goretta and Alain Tanner. Alain Tanner and Claude Goretta would later get involved in the continental Nouvelle Vague period. Momma Don't Allow Part 1. Momma Don't Allow Part 2. Directed by Karel Reisz and Tony Richardson. Both directors became British New Wave filmmakers of the 1960s. In ADRIFT IN SOHO we leave aside the social comment and concentrate in the music and the fun of the moment as the social comment is provided elsewhere in the movie. The original is a bit prudish so we took it one step further in our film. This documentary is perhaps the first time ever that a motion picture camera was used to cover a protest march from start to finish. The importance of this event shouldn't be underestimated. The Britain of the 1950s was very conservative and still a country gripped by the psychology of war. Any dissent that went against the state was considered high treason. Not only WWII was still fresh in the memory but the Korean War pitching communism against capitalism had just finished. 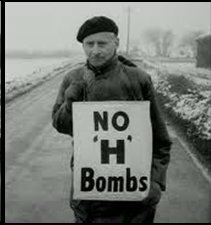 Throughout the 50s there was rumour that the next war was imminent and would be nuclear. Britain, US and the Soviet Union were pitched in a demented arms race to create bigger and more devastating generations of nuclear bombs. 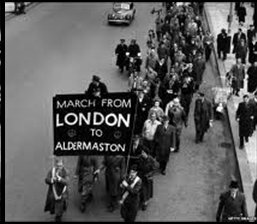 The marches started in 1958 which had its 60th Anniversary in 2018. The main purpose of ADRIFT IN SOHO is to prove how influential in modernity and new ideas the 50s were creating the platform for the Swinging Sixties. The morals and lifestyles in Soho were the precursors of modernity as we know it today. 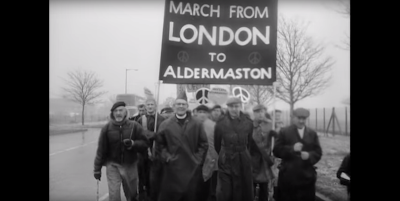 Nothing more obvious than the peace sign which was designed for the marches and then taken all over the world to represent a powerful force for peace by the people and not by governments which were probably more interested in war. Recent tensions between U.S. and North Korea and the 'Skripal Case' between UK and Russia act as a reminder that nuclear conflict is still a clear and present danger. 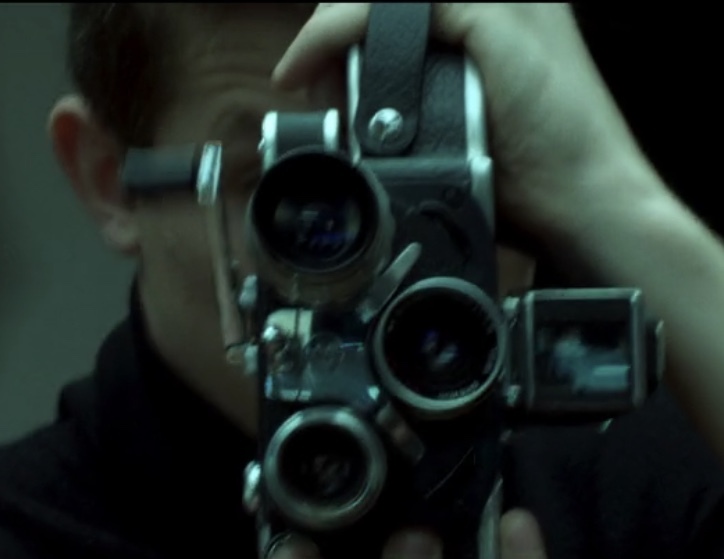 Virtually every man or woman with a Bolex 'directed' this film. Some were: Lindsay Anderson, Karel Reisz, Allan Forbes, Derrick Night, Kurt Lewenkack, Eda Segal, Elizabeth Russell, Chris Menges, John Arnold to name but a few. The original was narrated by Richard Burton. One of the original CND designs. The trailer contains the year in which the action takes place but film doesn't.